I cannot complain about the winter we have had because I live in Florida and it was cold for us Floridians but mild compared to the rest of the country. Everyone wants a tan that looks like they just came back from the Caribbean. The sun damage from my youth has forced me to find another way to get that just back from the beach glow. 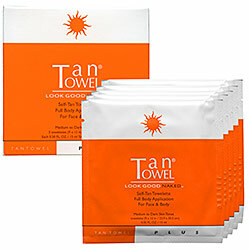 I have tried every self tanning product on the market and I always go back to the easy to use, streak free Tan Towels. They work on all skin tones, dry in minutes and produce a natural-looking glow within two to four hours. They are formulated WITHOUT Synthetic Dyes-Petrochemicals-Phthalates-Triclosan. Exfoliate before applying the Tan Towel so you will get an even tan. I use one in the morning and if I want to be a shade darker I apply another the following morning. Wash your hands after applying. To make your tan last for up to two weeks make sure you moisturize. To achieve the perfect glow I use RCK body glow. 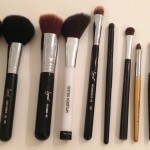 This is secret weapon of many professional make up artists. It covers imperfections such as pigmentation, veins, age spots, stretch marks and wrinkles. Once you use this product you will never want to be without it. It adds that glow to you already tan skin. Another big plus for using Tan Towels and RCK body glow is they dry very quickly so you don’t have to worry that you will embarrass yourself when you sit on your friends new white sofa. They are also a big hit at my house with the girls for winter formal and prom.